Bold blocks of colour are big this season. 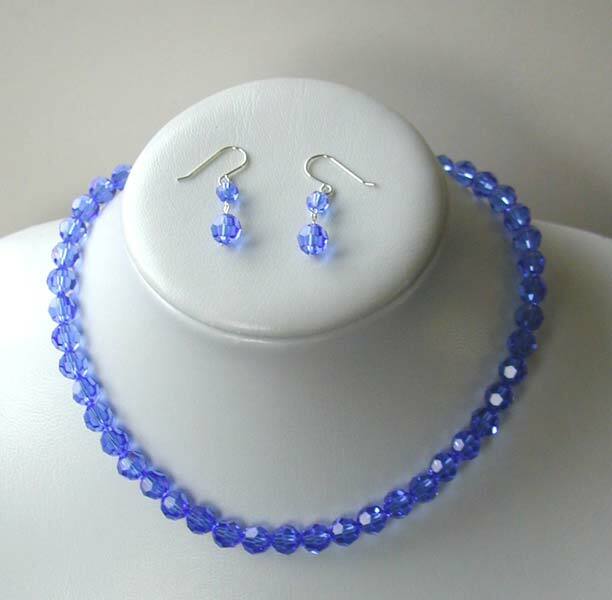 To compliment this look I have made a range of different coloured necklaces with rows of 8mm swarovski faceted beads. This piece is 15" long with a sterling silver clasp fastening. The sapphire colour is stunning and would sparkle magnificently on a summers day or be equally as eye catching with an evening outfit. This necklace comes with graduated bead drop earrings, made of sterling silver and swarovski beads.